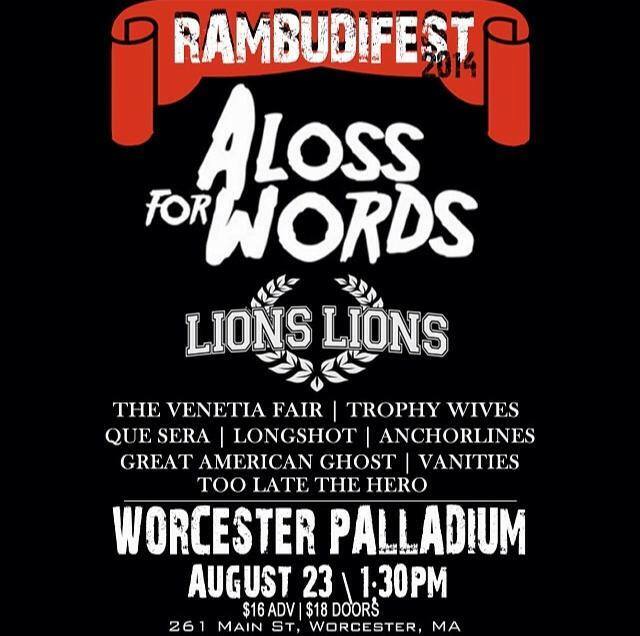 Yesterday, our friends in A Loss For Words announced that they’d be headlining the RAMBUDIFEST at the Worcester Palladium on August 23. The Boston boys, still riding the wave of their latest release Before It Caves, are excited to be playing the show with openers Lions Lions, The Venetia Fair and many more. We are proud to announce that we are headlining this years RAMBUDIFEST at the palladium AUGUST 23rd with some amazing bands! We also will have a BIG announcement at this show! Come hang before we head to JAPAN in September with our friends in STATE CHAMPS & PVRIS. Check out below the jump to see a flyer for the show, the band’s dates in Japan, and to listen to my favorite song from their latest effort, featuring Lynn Gunn from PVRIS.